Costco at Rego Park in Queens, NY just opened last week. More here. 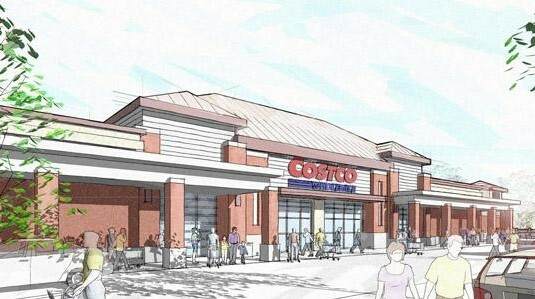 Costco is filing zoning change papers to build in Guilford, CT. More here. Costco is likely coming to Woodland Hills, CA. More here. The Villages, Fl. is the fast growing community area in the USA or so I read. For 100.000”s of thousands of people all we have is Sam’s. You would think that Costco would at least look into being a part of this retail giant of an area and give people a choice to shop the best, Costco. What is the reason that you marketing people seemed to have missed what I would call a great opportunity to join and serve the many people who really care where they shop? I would love to be at the ribbon cutting of your new store here in the Villages some time soon. Check into it and tell us what is up. Is Costco coming to Midland/ Odessa Texas? Please build a Costco in Midland/Odessa! I’m moving there soon and promise to continue to spend lots of money if you do!